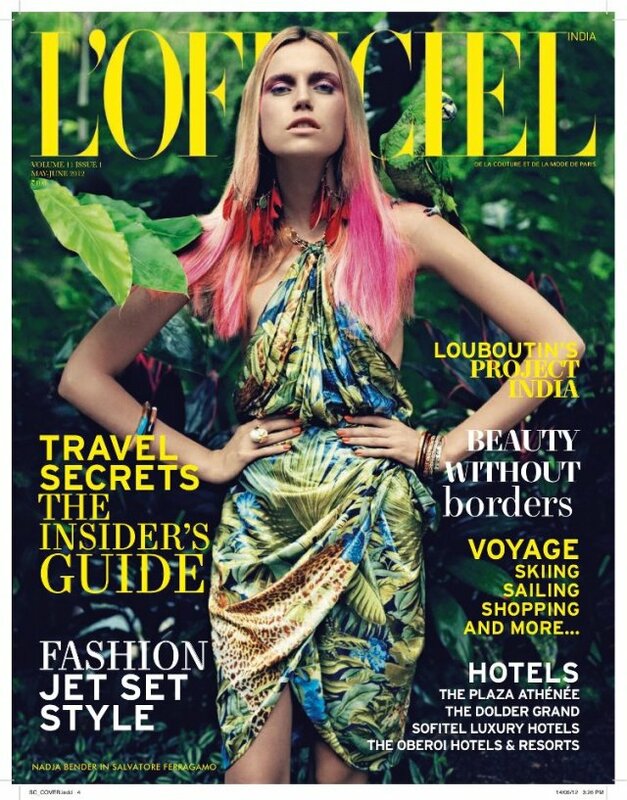 L'Officiel has created a beautiful image for their May-June travel issue cover. The cover features Nadja Bender in Salvatore Ferragamo. 21 year old beauty Nadja Bender is being touted as the new break out model after walking for leading designers in the 2012 Spring/Summer & Fall/Winter runway shows. She certainly knows how to strike a fierce pose.